The easiest way to cook a pot roast - in the slow cooker! This no-fail recipe turns out an amazing Sunday dinner every single time. Tender, fall-apart roast cooked together with carrots and potatoes, thrown together in the morning and ready to eat when dinner rolls around. Sunday dinner was always the best meal of the week growing up at my house . . . and pot roast was one of our staple Sunday meals. 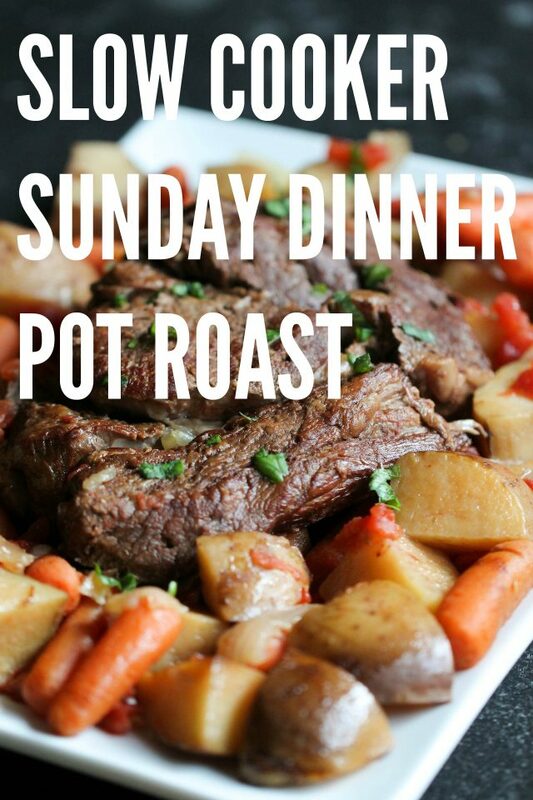 After I got married and was in charge of Sunday dinner for my own little family, I was super intimidated by pot roast . . . until I discovered that I could make it in my CROCK POT. Hooray! 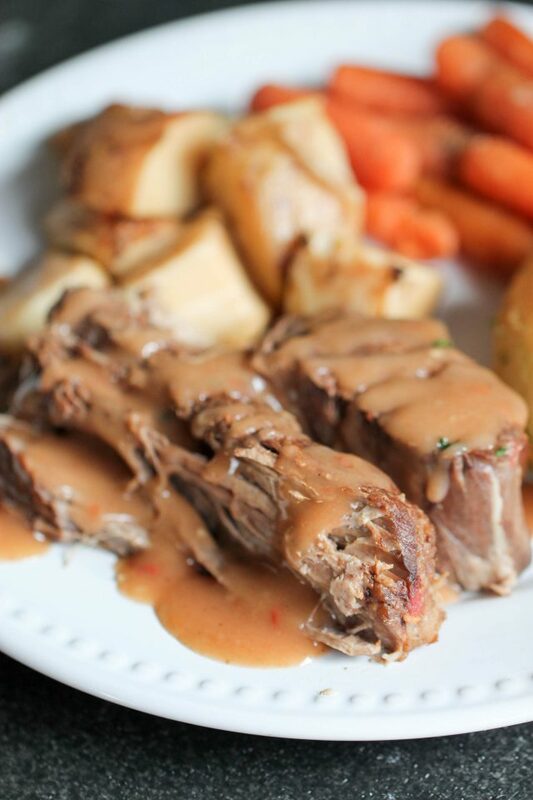 I promise you, this is the easiest and yummiest pot roast recipe. You just can’t mess it up. And when you feel ready, try the homemade gravy recipe . . . it took me a couple of tries to get it just right. And let’s be honest, this is easy enough you really could make this any day of the week. My husband would think that he had died and gone to heaven if he came home from work and found this waiting for him. Step 1: Heat olive oil in a large saute pan over medium high heat. Pat beef with paper towels and season all sides generously with salt and pepper. Sear beef in the saute pan until a nice crust forms (about 3 minutes on each side). *DON’T SKIP THIS STEP! It makes a nice crust on the meat that can’t be beat. Step 2: Place beef in crock pot. Don’t drain the drippings. 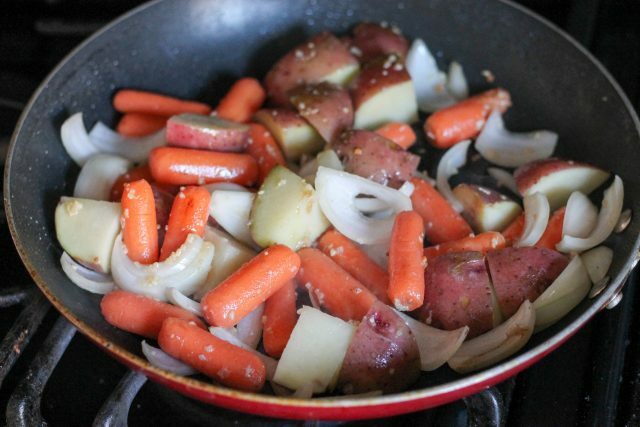 Add carrots, onions, potatoes and garlic to the pan and saute for about 3 minutes. Step 3: Pour in the diced tomatoes (with juices) and stir to combine. Arrange vegetables over the beef in the crock pot. Dissolve bouillon cube in beef broth and pour it over the roast. Step 4: Cook on low for 7-8 hours. Step 5: Pour all the liquid out of the crock pot into a small or medium saucepan. Let simmer over medium low heat for about 5 minutes. Mix butter and flour together in a small bowl and mash together with a fork until well combined (kind of like a buttery paste). Step 6: Slowly whisk in the mixture into the liquid until starting to thicken and combine. Optional step: If you like thick gravy, add the cornstarch as an added thickening agent. Combine the cornstarch with cold water until dissolved and stir into the gravy, whisking until smooth. Season with freshly ground black pepper (I don’t normally need anymore salt). We love that this pot roast cooks right along with the sides of carrots and potatoes, but we know a Sunday dinner isn’t complete with more than just some vegetable sides. The easiest way to cook a pot roast - in the slow cooker! This no-fail recipe turns out an amazing Sunday dinner every single time. Tender, fall-apart, roast cooked together with carrots and potatoes thrown together in the morning and ready to eat when dinner rolls around. Heat olive oil in a large saute pan over medium high heat. Pat beef with paper towels and season all sides generously with salt and pepper. 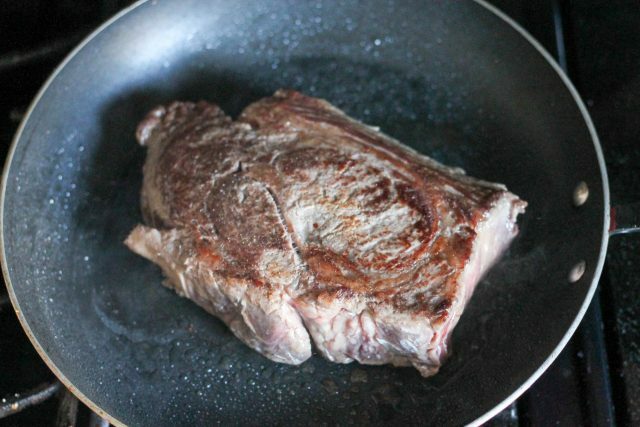 Sear beef in the saute pan until a nice crust forms (about 3 minutes on each side). Place beef in crock pot. Don't drain the drippings. Add carrots, onions, potatoes and garlic to the pan and saute for about 3 minutes. Pour in the diced tomatoes (with juices) and stir to combine. 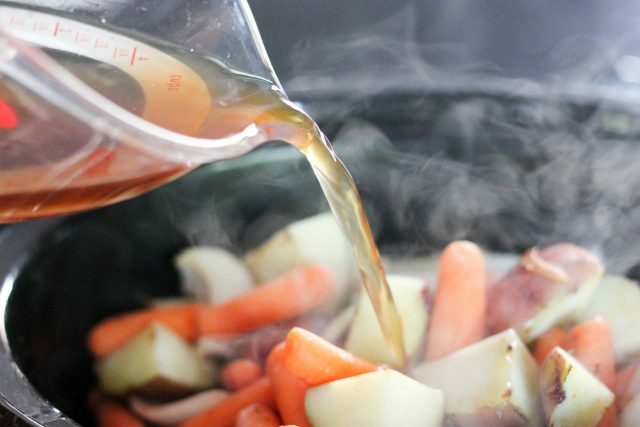 Arrange vegetables over the beef in the crock pot and pour in the beef broth with the bouillon cube dissolved. Pour all the liquid out of the crock pot into a small or medium sauce pan. Let simmer over medium low heat for about 5 minutes. 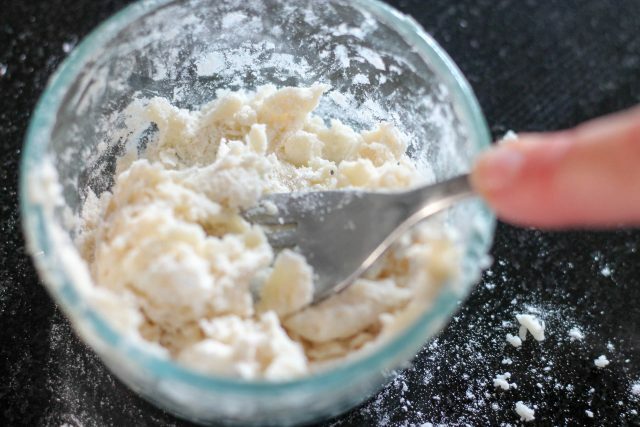 Mix butter and flour together in a small bowl and mash together with a fork until well combined (kind of like a buttery paste). Slowly whisk the butter mixture into the liquid from the crock pot until it starts to thicken and combine. 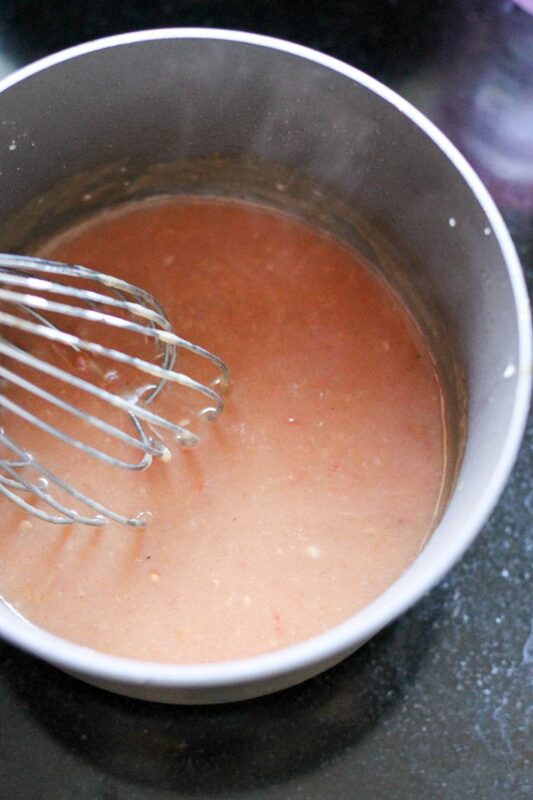 If you like thick gravy, add the cornstarch as an added thickening agent. Just combine the cornstarch with cold water until dissolved and stir into the gravy, whisking until smooth. Season with freshly ground black pepper (I don't normally need anymore salt). You can make a Pot Roast in an Instant Pot, too. We love this meal at our house. It's always such a hearty dinner! 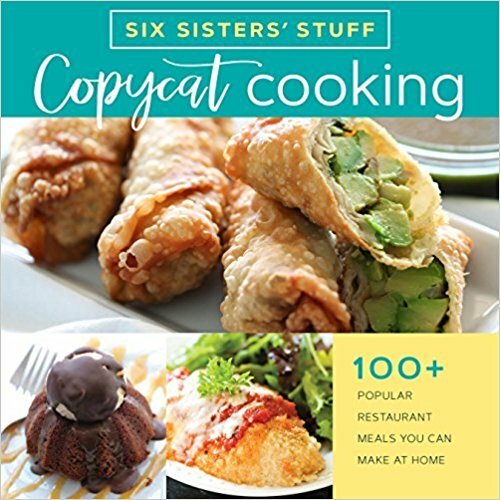 Thanks for your recipe, I will have to see how it compares to one I use, and maybe give it a try! Yum! It is a cold "roast" kind of day! We love ours with root beer. OMG! This is THE best roast we have ever made. Thank you for sharing. How do you cut the onion? Is it supposed to be diced so you don't notice the pieces, or do you want to have large pieces to have along with the other vegetables? We just slice it into rings. Then cut the rings in half to make half circles. You could cut it smaller if you needed to hide them from certain family members. We just like ours a little bigger. Hope this helps. Do you dissolve the bouillon cube in water before adding it, or just throw it in with the beef broth? Dissolve the bouillon cube with the beef broth. Since I'm not a very experienced slow-cooker user, I'm curious about the timing for certain recipes such as the one above, Slow Cooker Sunday Dinner Pot Roast. Your instructions say to cook on low for 7-8 hours, but since my husband says that he will not eat the evening meal any later than 4pm., that means that I will have to put this on much earlier in the day than when I usually get up. I considered putting my cooker on a timer to turn itself on in the middle of the night, but I hesitated because of the risk of letting everything sit at room temperature for too long. What do you think of this idea? Could I turn it on High in the morning at 8 am for 2 or 3 hrs., then turn it to Low for several hours? If you think this is acceptable, can you suggest an accurate number of hours on each setting to make this equivalent to your original recipe? I look forward to hearing from you. By the way, do you think this would be a way to deal with other long-cooking-time recipes? Thanks a lot for your help.